We are a friendly egg farm that believes in the good values of preserving nature. We use modern farming techniques that enhance our produce and also recycle waste to maintain an environmentally-friendly atmosphere. As an established company leading in egg farming Hock Soon utilizes state-of-the-art innovative methods that not only maximizes efficiency and quality but also minimizes waste by simultaneously producing and recycling to reduce environmental degradation. Our automated closed-house system’s electrically operated scraper efficiently removes manure. A fermentation organic fertilizer plant then treats the poultry manure and turns them into environmentally-friendly fertilizer. Consequently, biological wastes are recycled into compost and used in agriculture. 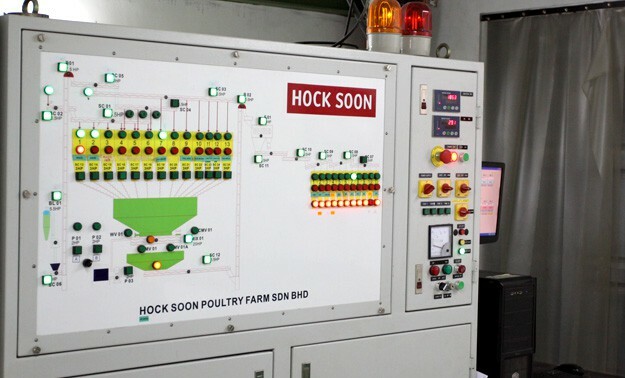 To-date Hock Soon Poultry Farm has set a milestone and made its mark in poultry farming by engaging in layer farming with features of well-planned infrastructure for production and technology usage that makes conventional waste production of farming practice a thing of the past. Attention to hygiene, husbandry and reduction in wastage contribute to preserving the environment without affecting farm productivity. Animal health is enhanced with the implementation of Quality Assurance Practices and dedicated veterinary and poultry health services. In recognition of our continuous efforts, Hock Soon has been accredited by the Department of Veterinary Services as a ‘Good Animal Husbandry Practitioner (SALT)’ since 2006. 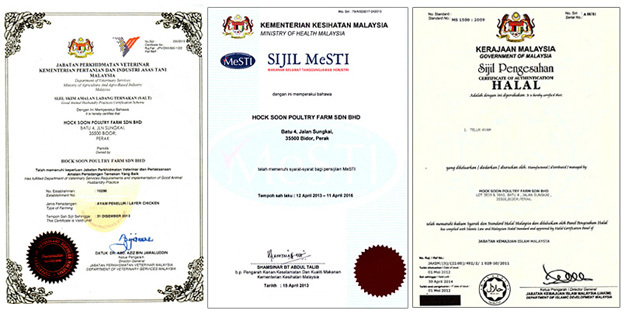 In 2012, Hock Soon also was accredited by Jabatan Kemajuan Islam Malaysia (JAKIM) for HALAL certification. This underscores our aim to be the innovative leader in the production of table eggs in the layer industry in Malaysia.